This is Rosario Beach. 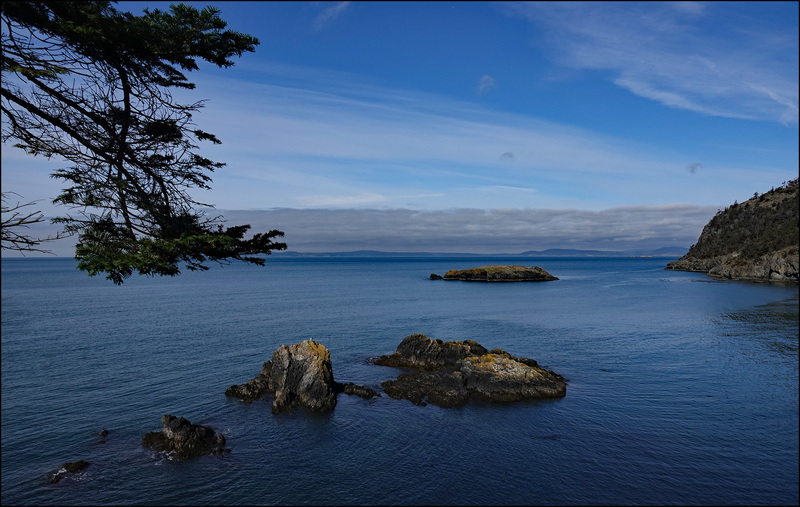 It’s on the southern end of Fidalgo Island between Everett and Bellingham in Washington State. It looks even prettier in the photograph than it does in real life, and far more peaceful. It was actually a fairly busy place when we were there, with lots of kids running around and a bunch of annoying photographers and bird watchers tramping all over. But you can forget all that because they’ve been cropped out of this picture.